A recent paper published in Journal of Foot and Ankle Research considers the published literature relating tp the association between ill fitting footwear and the more common foot pathologies. Conventional wisdom determines correct footwear fitting is vitally important to good foot health. The aim of this narrative review was to determine the prevalence of incorrectly fitted footwear and to examine the association between incorrectly fitted footwear, foot pain and foot disorders. Following a database search of Ovid MEDLINE and CINAHL for title and abstract review, 1,681 citations were reduced to eighteen articles for detailed analysis. Findings were summarised under the categories of (i) children, (ii) adults, (ii) older people, (iii) people with diabetes and (iii) occupation- or activity-specific footwear. Differences in footwear fitting between sexes were also explored. Between 63 and 72% of participants were wearing shoes that did not accommodate either width or length dimensions of their feet. 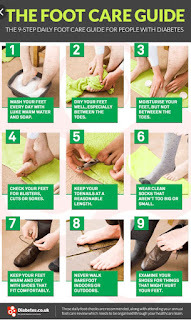 There was also evidence that incorrect footwear fitting was associated with foot pain and foot disorders such as lesser toe deformity, corns and calluses. Specific participant groups, such as children with Down syndrome and older people and people with diabetes were more likely to wear shoes that were too narrow (between 46 and 81%). 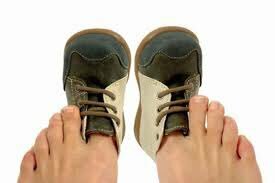 The authors discovered a large proportion of the population complaining of foot pain and related disorders were also wearing incorrectly sized footwear. The findings suggest greater emphasis should be placed on improving awareness of footwear fitting requirements; and increasing availabililty of footwear more able to accommodate the variation in foot morphology among the population, particularly in relation to foot width.